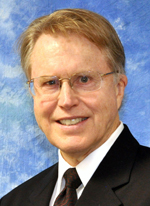 Jack D. Smith is the founding Executive Director of Repatriation Group International. He previously served as the director of Litigation for the Federal Deposit Insurance Corporation (FDIC) in Washington, D.C. and was the founding director of the International Centre for Asset Recovery (ICAR) in Basel, Switzerland. Over a period of 16 years Mr. Smith directed the FDIC’s worldwide recoveries of a record USD 6 billion lost by failed financial institutions due to negligence and fraud. He is a Certified Anti-Money Laundering Specialist and teaches International Money Laundering, Corruption and Terrorism at the George Washington University Law School in Washington, D.C.